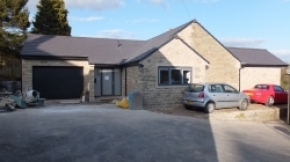 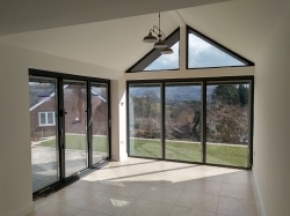 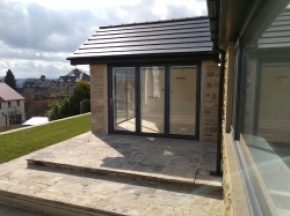 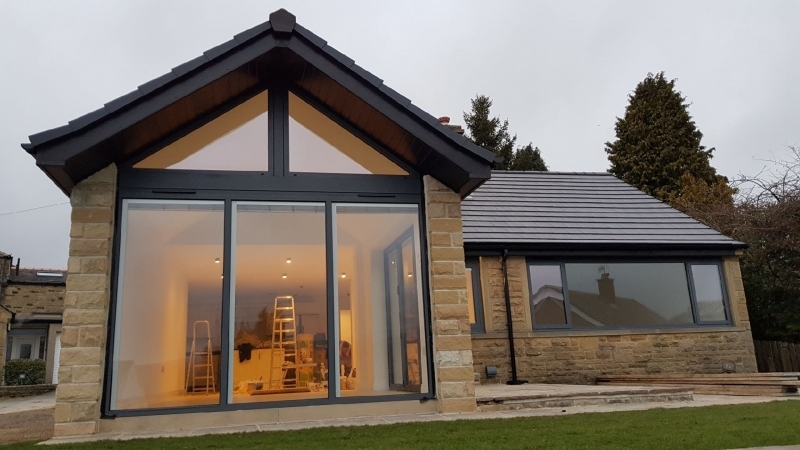 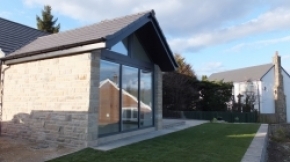 This is the stunning main glazed extension on a full re furbished bungalow we have nearly completed in Skipton, as you can see there's still a little bit to do, but the final finish is almost there. the house was extended on 3 sides to create a superb contemporary feel to the tired old bungalow, with the long distance views being captured fully by the wonderful glazed elevations to the south side. 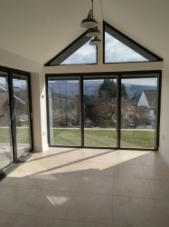 internally the property was completely stripped out, underfloor heating and porcelain tiling throughout, 2 new bathrooms, kitchen and 2 bedrooms created to form a stunning home.